But it’s Christmas! And never ones to waste an opportunity to eat, drink, and be merry, we at FOMP will be throwing our annual Carols in the Park event at 2pm on Saturday December 17th 2016. There will be music, mince pies, and mulled wine, and the chance to spend a magical afternoon with friends and neighbours. 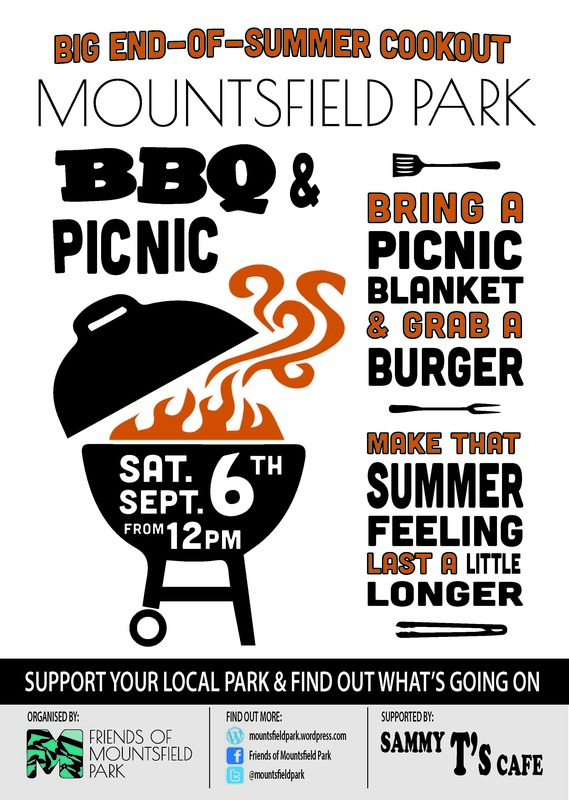 Mountsfield Park Big End of Summer Cook Out – BBQ (and Picnic) – 6th September from 12 noon – Everybody Welcome! Next to Sammy T’s near the bandstand. Mountsfield Park wants a wonderful new cafe building! @tommymizen would you design and build a cafe for us, we do the fund raising? 1) jobs – if you’re available for helping out with jobs in the coming couple of months, writing, blogging, pestering, postering, fund raising, planting, designing treasure hunts, any of these, please come to Sammy T’s on Saturday morning 21st June from 10am, to register interest and put yourself forward to take on a job to do in the run up to works beginning on improving the park. Many thanks to Douglas Earl and other Hither Green residents who campaigned to save the Park Fever hospital water tower so that we could all continue to enjoy it. Elm tree seeds spotted at Mountsfield Park today! Hope that this red admiral at Mountsfield Park today didn't come out of hibernation too soon. Must have felt nice - the sun on its wings.